Each of these program areas is meant to temporarily address school safety needs while the state gathers more information on what districts and schools require to protect students. The school safety plan stems from work performed by a committee on school safety that came into existence following the school shooting in Parkland, Florida and met regularly prior to the short session. Additional funding may be available for student health initiatives. More information will be available in the program's second year as North Carolina needs a Medicaid State Plan Amendment before it can start collecting the funds. A list of School Safety Equipment awards from 2018 can be viewed at: http://www.ncpublicschools.org/docs/cfss/home/school-safety-grant-2018.pdf. Part of the ongoing process going forward will be getting reports from districts sent to the state Department of Public Instruction so that legislators can understand what schools require. Eligible applicants are North Carolina school districts, regional schools, innovative schools, and laboratory schools. Grants for Mental Health Personnel - Applications were to be submitted by July 31, 2018. Training for School-based Mental Health Professionals - Applications were to be submitted by August 31, 2018. Grants for School Safety Equipment - Applications were to be submitted by September 4, 2018. Grants for SRO Personnel - Applications were to be submitted by July 13, 2018. Additional funding from the NC Department of Instruction is anticipated in Fall 2019. Interested applicants are encourage to check the Agency's website often for updates. Student Threat Reporting App - Up to $5,000,000 will be available. Grants for Mental Health Personnel - Up to $10,000,000 will be available. Training for School-based Mental Health Professionals - Up to $3,000,000 will be available. Grants for Students in Crisis - Up to $2,000,000 will be available. Grants for School Safety Equipment - Up to $3,000,000 will be available. Grants for SRO Personnel - Up to $12,000,000 will be available. Award amounts vary. Cost sharing/matching is anticipated, but has not yet been announced. Please select at least one grant to continue. 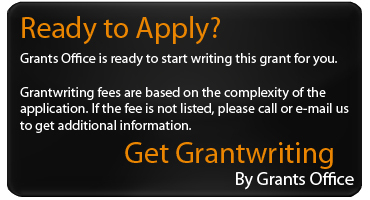 The selected grant has been added to your . step in the process through simplified workflows.